Lenovo add a to it, followed by a better display and longer battery life. This is more or less the blueprint that Lenovo followed with the Lenovo VibeK4 Note, launched in January 5, 2016 India.This new smartphone has a fingerprint scanner that sounds a lot better than Apple’s . 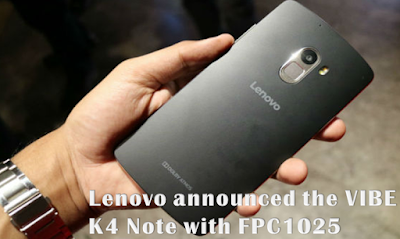 The Chinese company has thrown several features into its new “bumped” Lenovo Vibe K4 Note including dual front firing speakers powered by Dolby Atmos, fingerprint scanner, and an all new TheaterMax VR technology. Beyond all that though, the Lenovo K4 Note becomes one of only two phones to bring the fingerprint sensor to this market and like the Coolpad Note 3 (the other one), this fingerprint sensor is also quite good.the Chinese company is definitely betting heavily on the popularity of its Note series.